Go if: You like John Hughes’s rom-com meets troubled teenager movies à la Sixteen Candles and Weird Science. Skip if: You prefer ballets with a stronger male role. The poor Franz doesn’t have much dancing to do until his big variation in the last act. Dream Cast: With her great technique and perfect comic timing, Natalia Osipova is a feisty, funny and utterly adorable Swanilda. 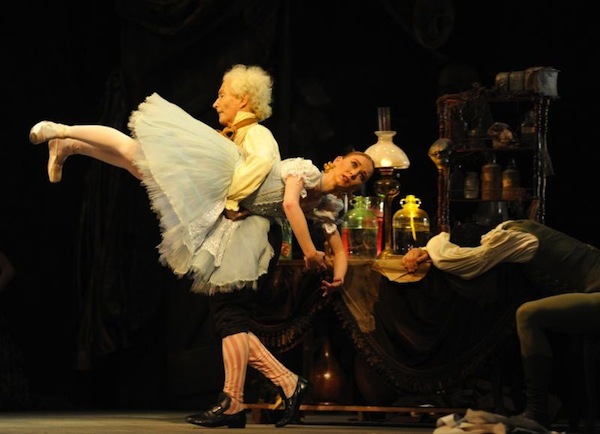 Coppélia is one of the most frequently performed and well-loved comic ballets. It was first choreographed at the end of the Romantic era and is considered to be a precursor to the “Classical era” (think Petipa) which then followed. As George Balanchine put it, “Just as Giselle is ballet’s great tragedy, so Coppélia is its great comedy.” The ballet is an obvious deviation from Romantic ballets, which featured ethereal figures like sylphs and wilis, long tulle dresses for costumes (later known as Romantic tutus), and tragic endings. In contrast, Coppélia featured human characters (that is, apart from Dr. Coppélius’s dolls), and ended with the central characters, Swanilda and Franz, in blissful matrimony. Following the success of La Source (1866), the collaborative effort between librettist Charles Nuitter and choreographer Arthur Saint-Léon, the Paris Opera director Émile Perrin asked them to reprise the partnership, appointing Léo Delibes to compose the music. Nuitter worked on the libretto for Coppélia, adapting E.T.A. Hoffmann’s dark tale of Der Sandmann (1815) to focus on the more lighthearted aspects of the story. In early productions of Coppélia, women en travesti (or in disguise) would play the role of Franz, a tradition that continued at the Paris Opera until the 50s. For this reason, music had not been written for a male variation and there was no Act III pas de deux, which would only be incorporated once the score was rearranged for Marius Petipa’s production in 1884. Incidentally, Petipa’s production would mark the start of a trend towards a conclusive Grand Pas de Deux (adagio, male and female variations plus a coda), as seen in most classical ballets that followed. Coppélia was also the first ballet to feature national dances: the Czárdás (Hungarian) and the Mazurka (Polish) from Act I. Both Saint-Léon and Delibes were folklore aficionados, and the trend at the time of expressing nationalism through the arts are reasons for their mutual agreement to include these. Coppélia premiered in Paris on May 25, 1870, starring Giuseppina Bozacchi as Swanilda, Eugenie Fiocre as Franz and Francois-Edouard Dauty as Dr. Coppélius. Its initial success was interrupted by the outbreak of war, but it subsequently was presented more than 500 times, becoming the most performed ballet at the Paris Opera. Just three months after the premiere of Coppélia, Saint-Léon died of a heart attack. The Paris Opera was left without its leading choreographer, and the shift of ballet supremacy to Russia was then wholly apparent, with the defection of dancers and other creative talents. In 1884, Marius Petipa restaged Coppélia in St. Petersburg, and ten years later, Enrico Cecchetti and Lev Ivanov would also revise it. Coppélia was first staged for the Royal Ballet in 1933 by Nicholas Sergeyev after the Ivanov/Cecchetti revision of the ballet. On that occasion, Dame Ninette performed the role of Swanilda. The Royal Ballet now performs a staging by de Valois from 1954, based on the Russian versions of Coppélia, with designs by Osbert Lancaster. In 1996, Bart, a former Étoile (principal dancer) who worked very closely with Rudolf Nureyev (during his latter years with the Paris Opera Ballet), was commissioned to create a new Coppélia for the company. 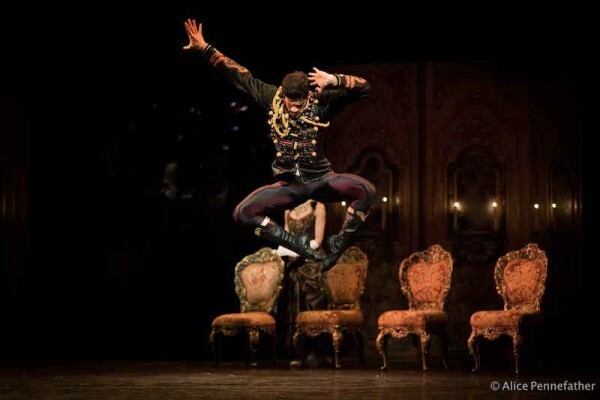 This production is inspired by the Hoffmann tale and attempts to give the characters psychological depth. Most significantly, Bart reintroduced the character of Professor Spalanzani: a mechanic in service of Dr Coppélius, and his sinister alter ego. He also used additional music from Delibes’ operas Le roi l’a dit and Lakmé, and chose to conclude his version with a love duet for Swanilda and Franz, instead of a Grand Pas de Deux. 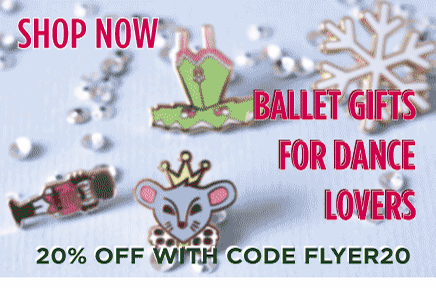 The Balanchine/Danilova Coppélia is the most widely performed version in the United States. Alexandra Danilova had been a celebrated Swanilda herself, and both had performed the ballet in St. Petersburg and on tour with the Ballet Russes. Their 1974 production retains the Nuitter plotline in the first two acts, but reimagines Act III as an extravagant pageant of balletic celebration. In 2009 Sergei Vikharev reconstructed Coppélia for the Bolshoi using old Mariinsky records of the 1894 Petipa/Cecchetti version, based on the Stepanov notation system. This version features a large ensemble of 24 dancers in the “Dance of the Hours” (Act III) and exquisitely refurbished designs. This version was staged in London in 2010 as part of the Bolshoi’s summer tour. Dr. Coppélius is an eccentric toymaker. He has built a life-sized doll, Coppélia, and daydreams of her coming to life. Franz, a young villager betrothed to Swanilda, is unaware that Coppélia, who sits at Dr. Coppélius’ window, is only a doll and finds himself attracted to her beauty. In the village square, celebrations are underway as the burgomaster presents a new bell to mark the following day’s harvest festival, when Franz and Swanilda will tie the knot. The couple bicker and quarrel, but Swanilda shakes an ear of corn to test Franz’s faithfulness, and the couple make up by the evening. Following a run-in with some mischievous youths on his way out, Dr. Coppélius drops the key to his house. Swanilda and her girlfriends pick it up and decide to venture in to meet Coppélia. Entering Dr. Coppélius’s house, Swanilda and her friends find out that Coppélia is nothing but one of the mysterious toymaker’s creations. Dr. Coppélius soon returns and drives out all the intruders, but Swanilda remains trapped. She sees Franz climb in through the window, hoping to meet Coppélia too. But he is intercepted by Dr. Coppélius and is made to drink till he passes out. Dr Coppélius takes the opportunity to cast a spell, seeking to give life to Coppélia by transferring Franz’s life force to the doll. He is overjoyed when she comes to life, not knowing that Swanilda – who has been following all his actions – has taken her place. Franz regains his consciousness, and soon all is revealed. Swanilda forgives Franz and they run out, leaving the dismayed Dr. Coppélius alone with his toys. The villagers gather to celebrate the harvest, as well as the wedding of Swanilda and Franz. Dr. Coppélius is upset and bitter, and threatens to take revenge for the intrusion to his home, but he is pacified by the burgomaster who gives him a purse of gold. The festivities continue into the night, with the “Dance of the Hours” and the wedding Pas de Deux. Léo Delibes, then aged 30, was assigned to work on the score for Coppélia, together with Nuitter and Saint-Léon. This was his first full-length ballet and is considered to be a great leap forward in the development of ballet music. 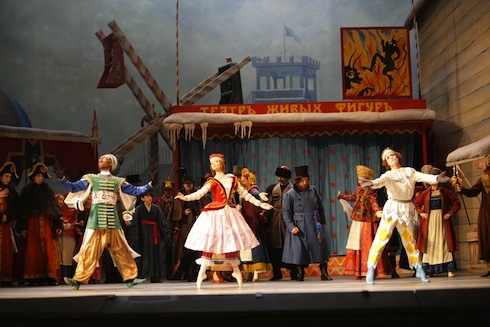 Each of the characters is identified by a leitmotif : Coppélia’s enigmatic tones and Dr. Coppélius’ sinister undercurrent of vibrating strings, with the music clearly indicating the bustling village square in contrast to Dr. Coppélius’ dark house. Delibes was a folklore aficionado and was familiar with Eastern European dance music. He was said to be influenced by the Polish composer Stanislaw Moniuszko, whose use of melody and rhythm was largely based on national folkloric music. 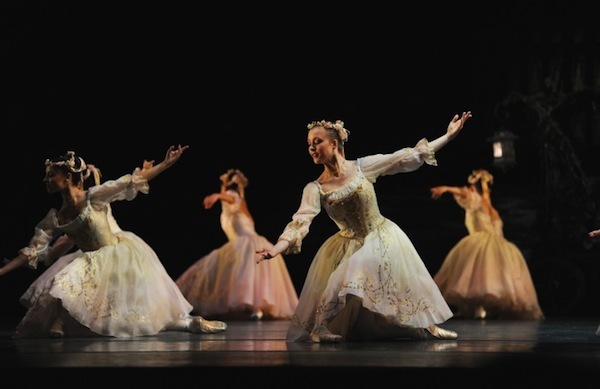 This led Delibes to include a Polish Mazurka in Act I, now one of the ballet’s most iconic passages. In addition, Delibes included Czárdás (Hungarian), and short Spanish and Scottish vignettes for Swanilda in Act II. Premiere: 25 May 1870, Paris Opera Ballet. DVD insert for the Paris Opera Ballet Coppélia. Opus Arte, 2011. Germaine Cheng is a freelance dance artist and writer, who graduated from Rambert School of Ballet and Contemporary Dance in London. 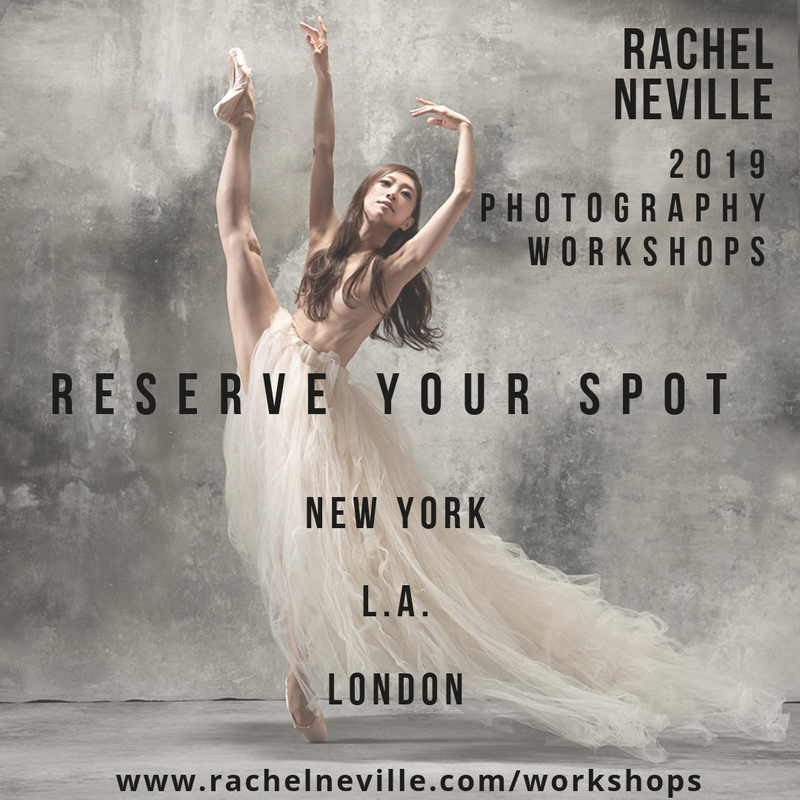 Prior to that, she trained at the Crestar School of Dance and Singapore Ballet Academy, and has performed with the Singapore Dance Theatre and the Washington Ballet. She was mentored by leading UK dance critics at “Resolution! Review” and was a regular contributor to londondance.com and English National Ballet’s Dance is the Word blog. 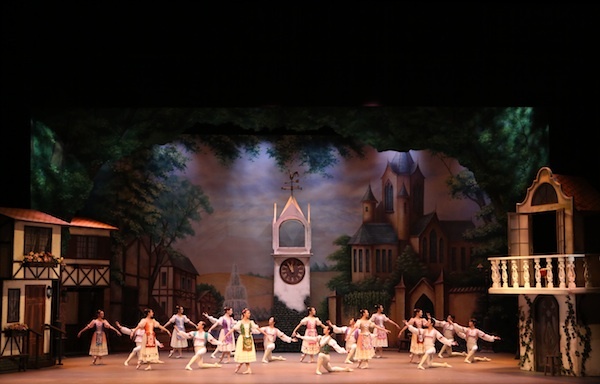 it is important to note that all modern-day versions of “Coppelia” pretty much stem from the Vic-Wells Ballet’s 1933 production staged by Nicholas Sergeyev. Although the choreography is almost always credited to both Enrico Cecchetti & Lev Ivanov, it is almost certainly all Petipa’s choreography. The notation from which Sergeyev staged the ballet in London in 1933 documents a 1904 performance at the Mariinsky starring Vera Trefilova. Ivanov really had no part in ever staging “Coppelia” in Russia, but Cecchetti did mount a revival for Pierina Legnani in 1894 during Petipa’s prolonged skin-illness, though it is unlikely that he made any heavy revisions to teh choreography, & merely rehearsed the dancers. For the rest of the years between 1894 & Petipa’s retirement, the aging ballet master was known for constantly tinkering with the choreography of ballets … his “finishing touches” so to speak! Does Balanchine’s version differ greatly from the Petipa/Cecchetti version? Has the Petipa/Cecchetti version ever been performed in America? No matter where I look on YouTube, there is no link to a full length production of George Balanchine’s version. All there is are snippets, which don’t help me much. Since I am writing a book about Coppelia and the setting is America, I’m relying on the Petipa/Cecchetti version for the performance of the ballet at the end, since I can find little to nothing on Balanchine’s. So, is it a bad thing that I’m using another version than Balanchine’s? Do you think Americans wouldn’t like my book because of it?